The new patch has gone live and with it is the release of Galio’s Rework, after plenty of tweaking in the PBE that is. He went through some serious adjustments before hitting the server, so forget what you’ve heard before now because a lot of it has been changed for the better. 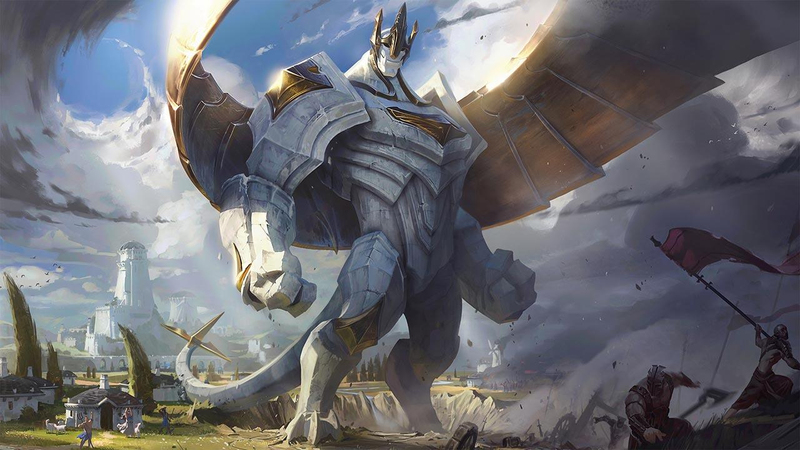 Galio is the biggest part of this update, but their are a few other changes, as well but we’ll start with him. Galio’s thing is still scaling off of magic resist, with his Passive from Shield of Durand becoming massive by the late game, and while his damage isn’t the most destructive on the rift, the ability to stay in a fight and just keep dealing it, with a kit that is perfect for engaging and peeling for his allies, he is definitely a much better experience to play then his old kind of caster kind of tank no real place in any team comp that he used to be, and most importantly of course he looks cool as hell now in his new Traditional look and his updated skins. A lot of focus this time on the Jungle and again on Marksman from this patch, miss fortunes buff coming back strong after what they did to her before, and the adjustments on Quinn possibly moving her down there from where she is more often played Top lane. Most of it is all about making champions do what they do more dependably, so other than Galio things on the rift should be carrying on as usual without a huge shift in the Meta.